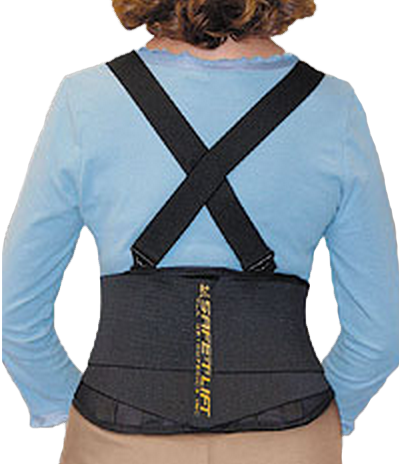 The Customfit Occupational Back Support provides support to the lower back and helps promote proper posture and lifting techniques. It is designed to stay in place on a wide variety of body types in a wide variety of situations. The support has a patented contour design prevents belt from riding up when sitting or bending. Ideal for females, unique physiques or heavier body types. It includes an adjustable shaping strap to provide a tailored fit. Its Spandex base and non-slip webbing keeps belt firmly in place. 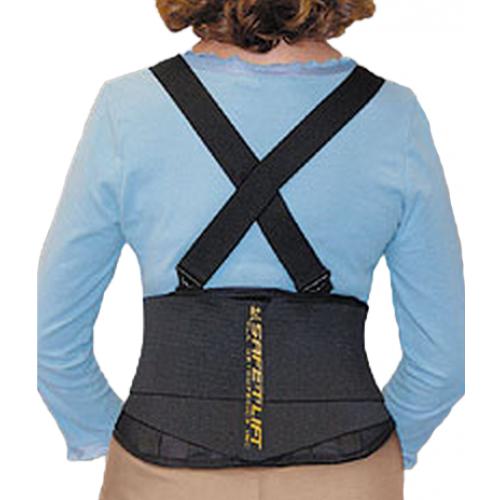 It includes snag-resistent woven suspenders, break-away buckles and side pulls for greater safety and durability.